Although at first concrete might not seem like the right aesthetic choice in your landscape, it actually has a wide range of potential uses. 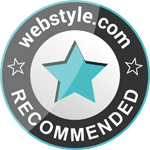 Whether you’re going for a modern look or almost any other style it can fit right in - especially with a good design and skilled hands. It can be colored, stamped, and given different textures & finishes. 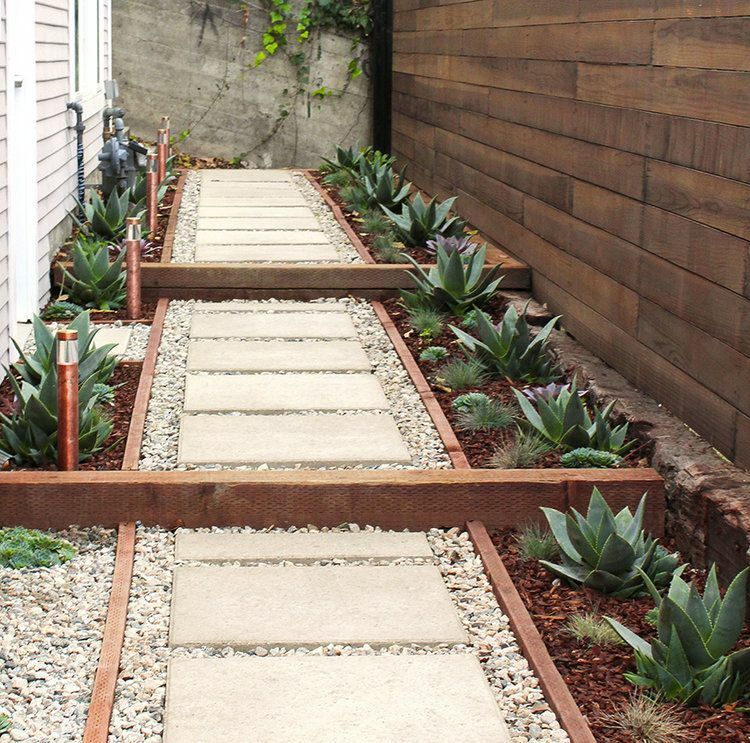 If you’re using concrete cinder blocks, they can be faced and topped in a variety of ways. In addition, it’s a durable, low-maintenance solution that is little affected by mold, water, pests, and weather. Unfinished rectangular (or round) concrete pavers are a popular landscape element in Los Angeles. They work well in walkways and patios with gravel, river rocks or pebbles; also with ground cover, artificial turf or decomposed granite. With all these choices you can get a variety of looks. They can even be inserted into lawns to cut down on wear in high-traffic areas. Concrete can be used unadorned as a retaining wall for a modern look; or finished with stones or flagstones as a garden wall. 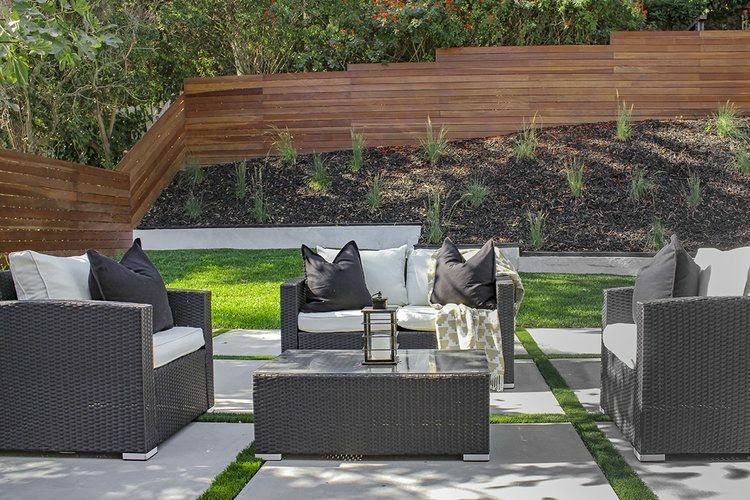 Unfinished concrete cinder blocks as retaining walls are another way to add a modern element to a landscape. 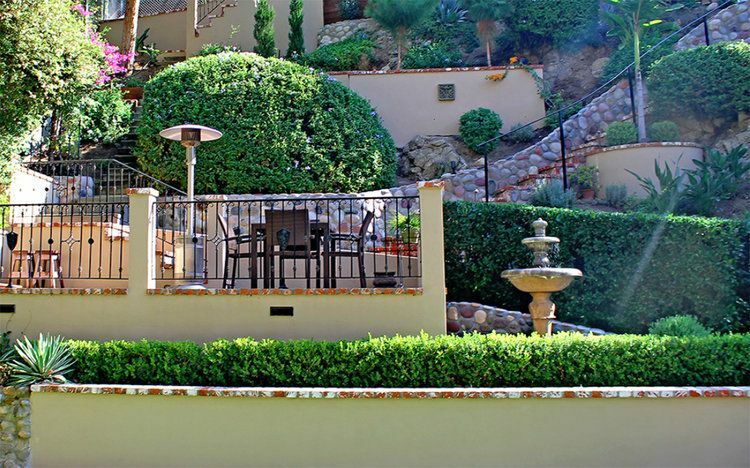 The cinder blocks can be faced with stucco, and topped with flagstone or brick. The same treatments work for planters as well. 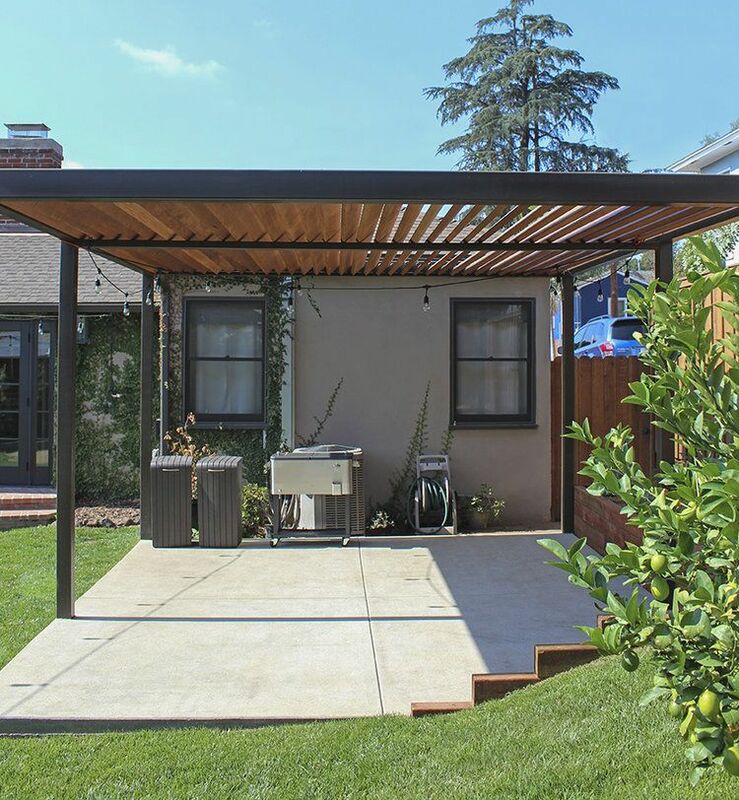 Concrete slabs can work by themselves, or even better with a pergola, where they also act as an anchor. There’s also coloring and stamping that can be used to give the concrete the look you want. 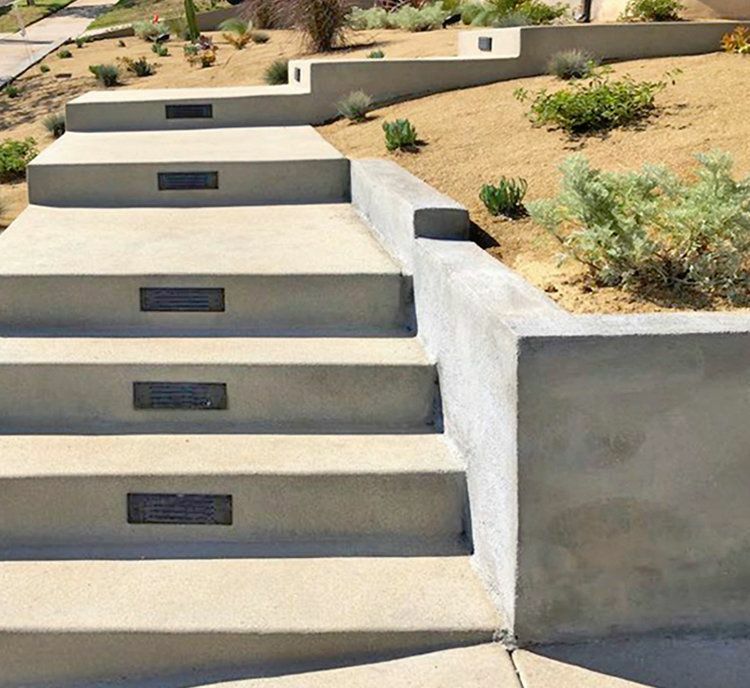 Another popular use in LA is outdoor steps and stairs. These are especially useful on hillsides. They can have lights inside for safety and atmosphere at night too. 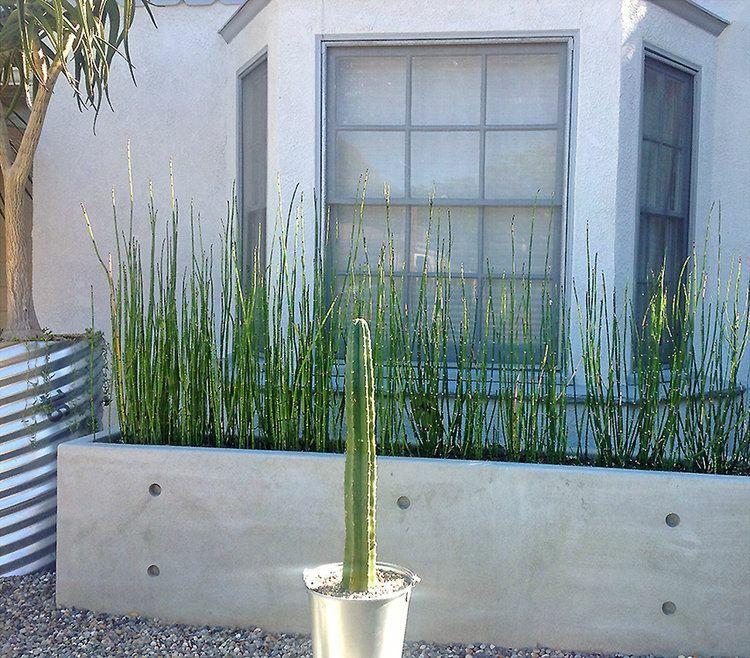 Concrete water features and fountains can work well in a modern landscape design. They add a soothing element and help to block other sounds. Of course everyone knows the concrete driveway. But with a little imagination it can be a unique addition. 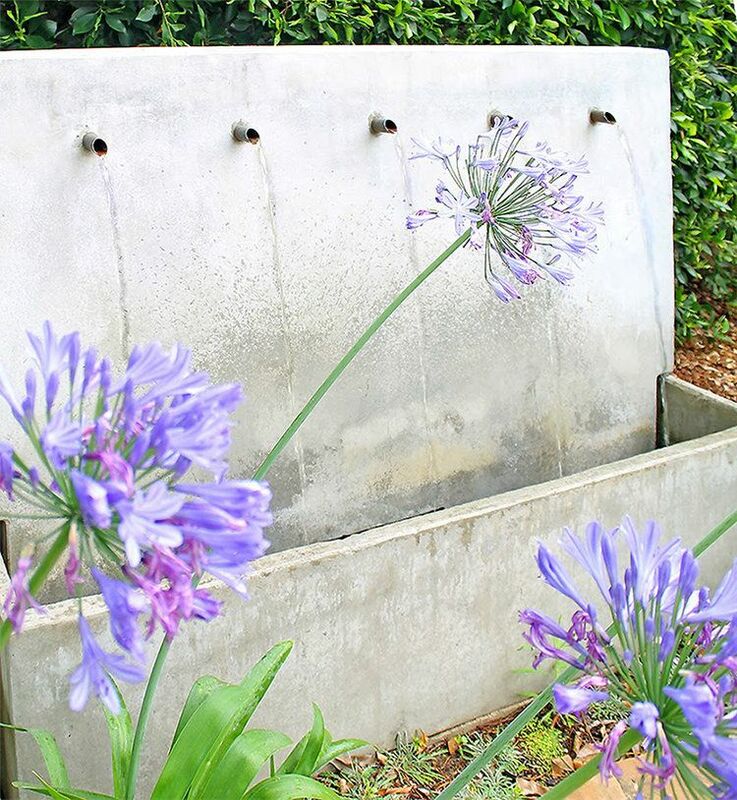 Finally, for drainage on hillsides concrete culverts are a practical solution that often can be hidden behind garden walls. 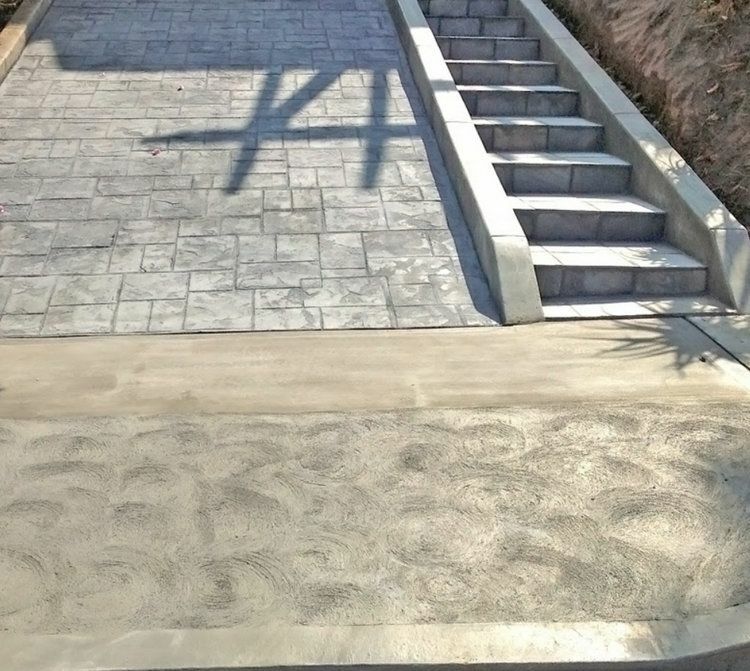 So if you want to add a low-maintenance, functional, and aesthetic element to your landscape, then concrete with all its various looks and uses is a good design choice.